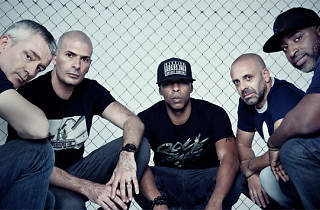 The fathers of French rap turn 30 this year, and celebrate with the release of what they claim will be their last album, followed by this one-off gig at the Olympia. If you've never heard of them, rest assured their stature in the homeland is akin to the Wu-Tang Clan's in the States (as if to cement the fact, they've collaborated extensively with the Clan). Their discography is a sprawling network of group and solo efforts, all united by smart production, savvy lyrics and a strong political thrust. Catch them in November – it may be your last chance.